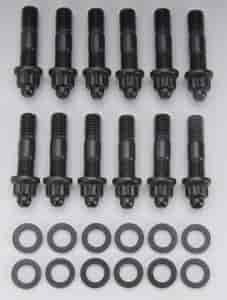 ARP's Bellhousing Bolt and Stud Kits are engineered to properly engage the engine block threads and resist loosening during operation. These bolts and studs are application-specific and come in choice of black oxide finished chrome moly or polished stainless steel with 12-point or standard hex heads. Washers and nuts included where applicable.